In 2013, Google Glass was released with a lot of expectation. The idea of Google Glass was always interesting to me, especially for people who needed a hands free way to transmit or receive information. When I first started thinking about Google Glass, it seemed like an amazing tool for many professions.Imagine paramedics coming onto a scene and immediately being able to send pictures of the patient and scene back to a team in an emergency room. Similar applications would make sense for surgeons; I imagine that there is vital information that could be delivered to the screen during a procedure. Or, Google Glass could be used to take photos or video to aid in training for students in medical school. Other applications of Google Glass that I thought of were around sports. 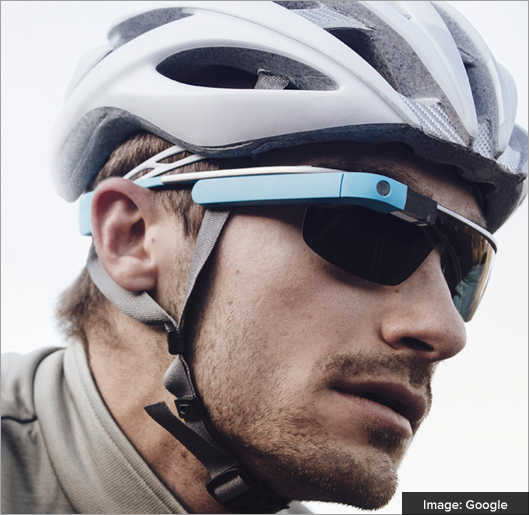 I imagine that cyclists, skiers, and rowers could find Google Glass helpful. Of course, many athletes already receive information through radio contact with their coaches or just through apps like Nike Running. But, this article outlines how Google Glass could impact cycling including training, bike maintenance, navigation, and medical emergencies. I tried Google Glass a few times and although it was interesting, I quickly realized it is not for me. Don’t get me wrong, I love the idea of Google Glass, but having a screen that close to my eye would result in me not being able to function. As someone who gets motion sickness very easily, Google Glass would likely leave me in a constant state of nausea. Perhaps a possible solution emerged this week when Chinese search engine, Baidu revealed concepts for Baidu Eye, it’s version of Google Glass. 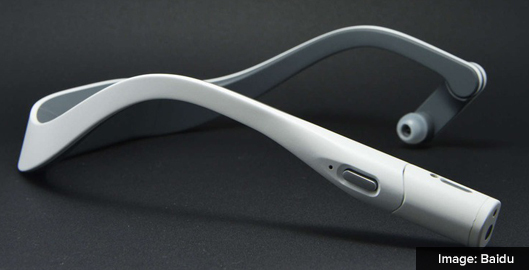 Unlike Google Glass, the Baidu Eye does not have a screen attached to it. The purpose of Baidu Eye is to capture information around you. To consume any information, you use a smartphone which the Baidu Eye can transmit to. According to an article in The Next Web, the Baidu Eye does not support voice and gestures and is currently only a prototype. However, Baidu Director of International Communications Kaiser Kuo told The Next Web that the company is in the process of making Baidu Eye available for consumers soon. I love that the Baidu Eye does not have a screen because I’d be able to use it and not get motion sickness. I think that a key part of making a great Google Glass user experience would be to allow for the disconnection of the screen so that someone like me could still benefit from Google Glass, and consume the information on a smartphone screen, or other screen that wouldn’t trigger vertigo. I see the amazing applications that Google Glass and Baidu Eye have for shaping how to consume and interact with things around us. But, I’m not convinced that this will have widespread adoption amongst everyday people. In comparison to the iPhone, I am just not seeing the need for everyday people to have a device like Google Glass or the Baidu Eye. Further adding to me intrigue, is the fact that a main feature of Google Glass and the BaiduEye is to capture photos and videos. But, with the massive adoption of the GoPro and I’m assuming many other similar devices, it remains to be seen if everyday people see the value in devices such as Google Glass and the BaiduEye! What are your thoughts? 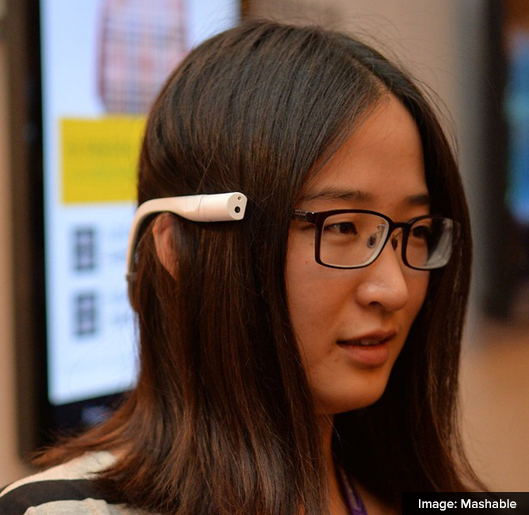 Will wearable technology such as Google Glass and the Baidu Eye become mainstream? Do you see use cases for every day people to use devices such as these? Do you have Google Glass? If so, what are your thoughts on how it’s helped you in everyday activities?